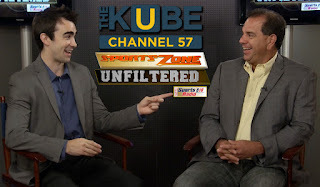 Miss SportsZone Unfiltered last night? No problem. It's back on again this afternoon at 12:30 CT. Check it out today from 12:30 PM - 1:00 PM CT on The Kube: Channel 57 (or 53, 653 HD if you have Comcast).